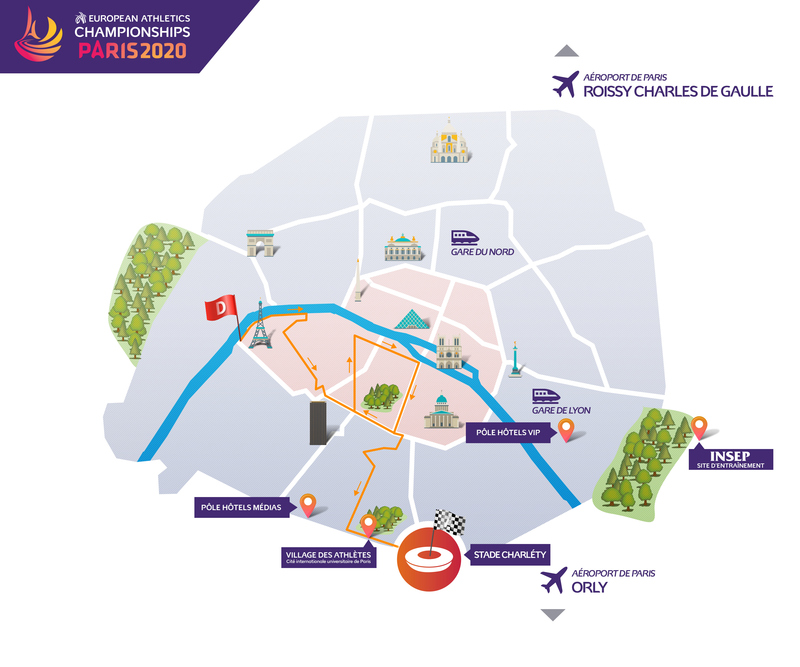 From 25 to 30 August 2020, Paris will offer a marvelous setting for the Europe of Athletics. In Charlety stadium, fans will be thrilled by the performances of 1,500 athletes during a celebration that will gather all lovers of sports and emotions. Bringing athletics out of the stadium to meet a wider audience: this is one of the objectives of the Organising Committee. Two initiatives aim to make the event as festive and popular as possible. Part of the half-marathon of the European Championships – which will start next to the Eiffel Tower – will be open to anonymous participants. A 10km popular race (European Mass Race) will allow everyone to feel the excitement of real competition. The fan zone – whose location will be specified at a later stage – will welcome Parisians and tourists who will celebrate the athletes during the medal ceremonies and will enjoy many activities, with a focus on the promotion of sports and its practice.